Says what’s on the tin... This easy and quick to use magnet brightens up any fridge. Our new Easi Magnet uses a unique design for fast positioning. 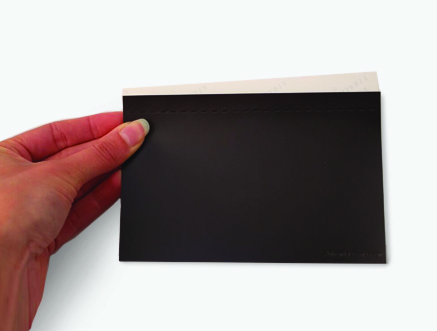 It features an adhesive front and perforated edge allowing you to line up the magnet back easily and centrally over the print. 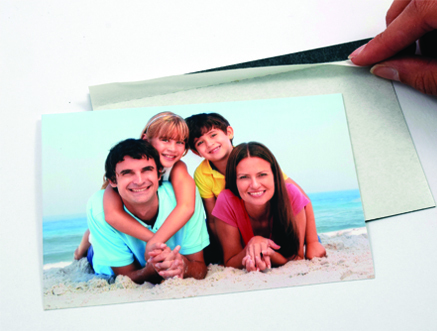 Just peel of the adhesive from the magnetic back and firmly stick down on your print. 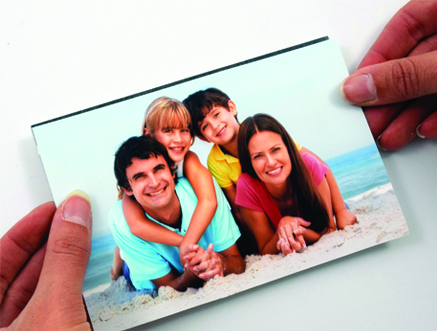 Holding popular photo size - 4 x 6" (102 x 152mm) this is a great cost effective product for you to offer to your customers. 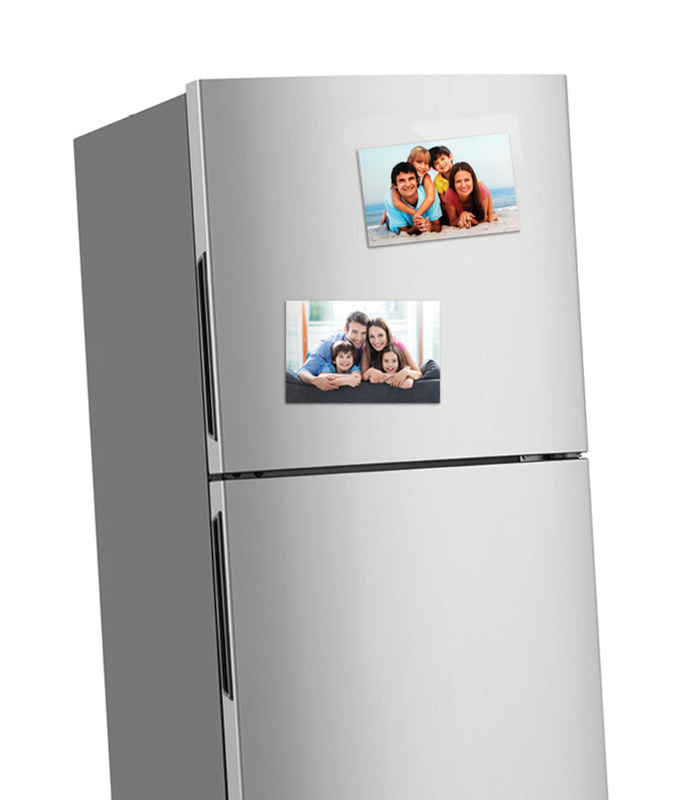 Giving your customers the easy choice of just deciding what prints they want to see when they visit their fridge! 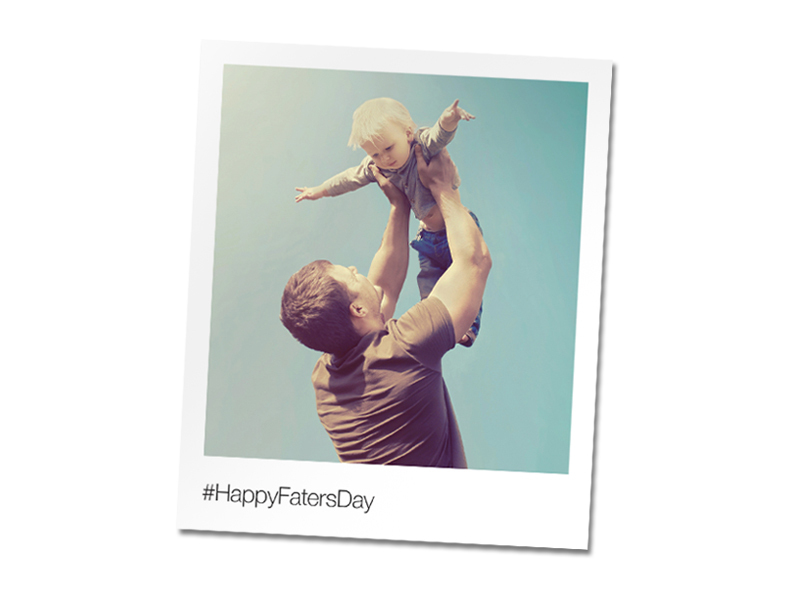 It's perfect for holding memories on fridges for longer and works with photos and postcards. The cost effective simple magnet allows you to create a 4 x 6” magnet easily in just 8 seconds. It has been uniquely designed for fast positioning, taking just 8 seconds to create, which is ideal for fulfilling your customers orders easily and efficiently. #3 Peel off the rest of the label and stick down the rest of the image. Coming in wholesale quantities this Easi Magnet is packed in boxes of 250 so you can buy magnets in bulk quantities. Contact our dedicated sales team for samples now. We take great pride in being able to offer a solution to our customers needs. The Adventa team enjoy a challenge and get pleasure out of making your requirements become a reality. Therefore if you have a specific size requirement please get in touch with our sales team, we are able to offer a variety of sizes based on minimum order quantities so please do get in contact to find out more - sales@adventa.com. Polaroid and instant printing is making a retro comeback so why not offer your customers an Instagram magnet, a fun way to display polaroid prints. Adventa are manufacturers of a wide range of high quality Keyrings & Magnets, click here to see the full range. Don't miss our new vibrant Premium Solo Mount Magnet - coming in a wide range of bright fun colours these versatile picture frames can be used landscape or portrait and can be used as a magnet or stood as a frame.